Designed with precision, Chapati Making Machine produces soft and fluffy chapattis with a rate of 1800 pieces per hour. Chapati Making Machine comes with assurance of fast operation, low energy consumption and longer service life. 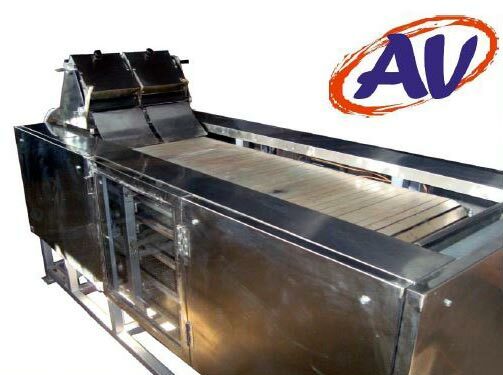 With these attributes, Chapati Making Machine can cater the demands of commercial kitchens, where chapattis in bulk quantity are required to be prepared. Dimensions (inches) : LxWxH : 72" x 42" x 60"